The Financial Mechanism Office (“the FMO”) announces call no. 2017-2 seeking the submission of proposals for grants for transnational projects under the EEA and Norway Grants Fund for Regional Cooperation (“the Fund”). The Fund operates on the basis of calls designed and launched by the Donor States Norway, Iceland and Liechtenstein with support from their secretariat the FMO. The fund operator, a consortium consisting of Ecorys Polska and JCP, assists the FMO in implementing the Fund. The project selection will follow a two-step procedure, in which this call is the first step. Based on the assessment of submitted concept notes, shortlisted applicants may continue to the second step. Beneficiary States2 in Northern, Central and Southern Europe. The Fund supports projects addressing common European challenges through regional cross-border and transnational cooperation in the form of knowledge sharing, exchange of good practice and capacity building across the priority sectors of the EEA and Norway Grants 2014-2021. The total amount available for projects is € 31.89 million, of which 15 million is made available for this call for proposals. The projects supported must be regional cross-border or transnational in nature and involve multiple partners and activities in different countries. Eligible entities must apply as a consortium, consisting of entities from a minimum of three countries3. Please see chapter 2 for further information on eligibility.  Agreement between the Kingdom of Norway and the European Union on a Norwegian Financial Mechanism for the period 2014-2021, article 7.  Respect for human rights, including the rights of people belonging to minorities. All projects and activities supported by the Fund shall follow the principles of good governance; they shall be participatory and inclusive, accountable, transparent, responsive, effective and efficient. There shall be zero-tolerance towards corruption. All projects and activities supported by the Fund shall be in line with the principles of sustainable development, long-term economic growth, social cohesion and environmental protection. The EEA and Norway Grants are contributing to reducing social and economic disparities in Europe and strengthening bilateral relations between the Donor States Norway, Iceland and Liechtenstein and 15 Beneficiary States in Northern, Central and Southern Europe. In recognition of the growing importance of regional cross-border and transnational cooperation in Europe, the Donor States have for the EEA and Norwegian Financial Mechanisms 2014-2021 increased their funding to promote such collaboration. Whereas the majority of EEA and Norway Grants funding is tailor-made to national initiatives and bilateral cooperation between the Donor States and the Beneficiary States, the EEA and Norway Grants Fund for Regional Cooperation targets projects strengthening regional cross-border and transnational cooperation between the Donor States, the Beneficiary States and ten non-EU Member States. In this call for proposals, regional cross-border cooperation is defined as cooperation between neighbouring countries on shared challenges while transnational cooperation is defined as cooperation between European countries – neighbouring or not - on common European challenges5. The EEA and Norway Grants Fund for Regional Cooperation strengthens the European cooperation component within the priority sectors of the Grants. To further underline the importance of involving all countries or areas affected by shared challenges, 10 third countries are also eligible for funding. Through the European Regional Development Fund (ERDF), the European Social Fund (ESF), and the European Neighbourhood Policy6 (the European Neighbourhood Instrument 2014-2020) the EU has made funding available to address shared issues within Europe7. The Strategy for the Baltic Sea Region8 and the Strategy for the Danube Region9 (EC 2010) are examples of regional cross-border cooperation. With this call for proposals the EEA and Norway Grants Fund for Regional Cooperation recognises regional cross-border and transnational cooperation as a key driver to find shared solutions to common challenges. Funding will be allocated to support inclusive dialogue and the strengthening of transnational/regional networks, knowledge sharing and policy exchange to accelerate innovation; job creation; the development of sustainable cooperation structures between the business sector, public sector, civil sector and academia; and engagements contributing to and enhancing effectiveness and efficiency in policy development and responses to common European challenges. 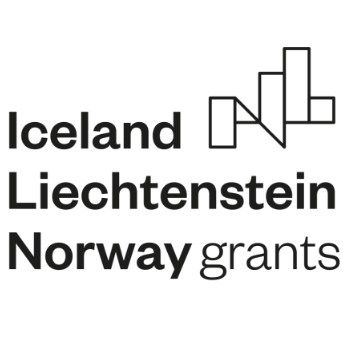 Within this call for proposals, regional cross-border and transnational project ideas focusing on soft measures like knowledge-sharing, the exchange of good practice and capacity building within all priority areas of the EEA and Norway Grants will be considered for funding (see Annex and footnote no. 1). The Fund seeks innovative project ideas that propose new solutions to common challenges. 6) tangible results with good visibility and impact. The added value of this Fund compared to other initiatives of the EEA and Norway Grants is its regional and transnational focus. The main idea is to support entities across Europe pooling their efforts to find new ways of dealing with common concerns. Activities, outputs, outcomes and the impact of the Fund shall therefore be regional cross-border or transnational in nature and the added value of this dimension should be clearly visible. The projects could be complementary to activities implemented in the context of EU cross-border and transnational cooperation. As indicated under 1.1. Background above, EU funding is available for the EU Member States on regional cooperation. This call seeks to complement existing EU funding. Projects within areas that commonly do not receive EU funding are therefore particularly welcome. All projects supported under this Fund need to follow a results and risk management approach. Projects need to define a) their proposed activities and their expected outputs, b) why they think those activities are going to be successful and c) provide any evidence they have to support this intervention logic. Each of these priority sectors is described in the annex. All priority sectors imply networking and close cooperation with entities in other eligible countries, and can also include expertise partners established in a Donor State, in a non-eligible EU Member State or an international organisation, if relevant. Priority sectors may be combined. Projects shall involve entities from at least three countries, including at least two Beneficiary States10. Each project must include one lead partner and at least two beneficiary partners of which at least one must be from a Beneficiary State.  Expertise partners can be any eligible entity established in a Donor State, in a non-eligible EU Member State or international organisations. Project partners are all the consortium members, including; the lead partner, the beneficiary partners and any expertise partner(s). Entities established in one of the 15 Beneficiary States can apply for funding and perform the tasks of lead partner11 in the project consortia. Entities established in one of the 15 Beneficiary States or in the following non-EEA third countries: Albania, Belarus, Bosnia and Herzegovina, Former Yugoslav Republic of Macedonia, Moldova, Montenegro, Russia, Serbia, Turkey and Ukraine can join the consortia as beneficiary partners. There is no limit on the maximum number of beneficiary partners. The establishment of project consortia with more members than the minimum is considered favourable. However, the size of the partnership must be duly justified in order to reflect the specific outcome of the project as well as ensure that the transnational cooperation is manageable.  Social partners (trade unions, sector associations, employer associations, chambers of commerce and industry). Natural persons are not eligible consortium members. Consortium members must be directly responsible for the implementation of the project for which they are seeking a grant. Projects under the Fund are intended to benefit identified target groups within the 15 Beneficiary States and the 10 third countries Albania, Belarus, Bosnia and Herzegovina, Former Yugoslav Republic of Macedonia, Moldova, Montenegro, Russia, Serbia, Turkey and Ukraine. The consortia may invite expertise partners to support the projects by bringing added value by way of sharing expertise, experience, know-how and contribute to capacity building. Bilateral relations between Beneficiary and Donor States shall be encouraged in line with the overall objective of the EEA and Norway Grants. The inclusion of relevant expertise partners from the Donor States is considered advantageous. The concept note shall list the expertise partners to be involved in the project and describe their relevant work achievements and why they are considered necessary to reach the objectives of the project. Target groups or other stakeholders in the countries of the expertise partners cannot benefit directly from the Fund. However, expertise partners may expect to benefit from project involvement through professional cooperation, promoting extended and strengthened European networking and the mutual development and exchange of information and good practice. Independent experts from the Donor States may perform the role of expertise partners provided they are organised as a registered business owned by one individual where the owner is personally responsible for any debts or liabilities incurred by the business and pays personal income tax on the business profits. The same expertise partner may participate in multiple project consortia. The purpose of regional cross-border and transnational partnerships is to ensure the close mutual cooperation of various types of organisations with different skills, knowledge and experiences. Through such cooperation common European solutions can be found. Multinational partners shall also help to ensure project sustainability. A partnership is a contractual relationship between three or more entities, which is based on shared responsibility for project implementation. Partners are jointly involved in project preparation and implementation during the drawing-up of the concept note and later the full proposal, the implementation of the project, and the completion of the project. The project partners work together in a multinational partnership to reach the objectives which are to be realised through the implementation of the project. All project partners must be actively involved in, and effectively contributing to, the implementation of the project, i.e. the partnership must be substantiated and sustainable within the consortium.  It will be responsible for the reporting of project performance and results to the fund operator. The nature of legal relationships between the lead partner and the other partners must not rest upon service provision; i.e. the cooperation is not of a supplier-customer character and the consortium must not be of a commercial character. During the project development phase the project partners must make clear how they will undertake the management of the project, how work tasks will be allocated, which measures they will take to ensure that high quality standards are applied by all consortium partners, how they will monitor the achievement of objectives and how they will take appropriate corrective measures if and when necessary during the project period. The lead partner shall sign a Partnership Agreement with all project partners (both beneficiary and expertise partners). All contractual relationships between the lead partner, beneficiary partners and expertise partner(s), their roles in the projects, scope of activities, responsibility and definition of mutual rights and obligations during the project implementation shall be addressed in their Partnership Agreement. The project duration must be taken into account in the development of the concept note. Long‐term project funding could be considered for example where pilots are being developed, for projects focused on innovative processes and development of new methodologies, or in the case of projects involving capacity building. Long‐term funding may also be needed for larger‐scale projects. The final date for eligibility of expenditures for projects is 30th April 2024 at the latest. Unless a later date is provided in the decision to approve the project grant or in the project contract, expenditure incurred shall be eligible as of the date on which the Financial Mechanism Committee decides to award the project grant. The first and final dates of eligibility of each project shall be stated in the project contract for that project. The available budget under this call is EUR 15 million. The amount of grant assistance applied for within a project shall not be less than EUR 1 million. There is no maximum grant amount per project. The Financial Mechanism Committee reserves the right not to award all the available funds, to re-publish this call or to re-allocate the funds to subsequent calls or other activities. The indicative project budget is part of the concept note (see Chapters 6 and 7) and must be drawn up in euros. The grant may not have the purpose or effect of producing profit within the context of the project. Any net revenue generated as a direct consequence of the project must be deducted from the amount of total eligible expenditure of the project. (f) They comply with the requirements of applicable tax and social legislation. Expenditures are considered to have been incurred when the cost has been invoiced, paid and the subject matter delivered (in case of goods) or performed (in case of services and works). Depreciation of equipment is considered to have been incurred when they are recorded on the accounts of the project partner. The eligible direct expenditures for a project are those expenditures which are identified by the project partners, in accordance with their accounting principles and usual internal rules, as specific expenditures directly linked to the implementation of the project and which can therefore be booked to it directly. A flat rate of 15% of the total eligible staff costs of the project is eligible under indirect costs, representing the general administrative costs which can be regarded as chargeable to the project. Where in-kind contribution in the form of voluntary work constitutes part of the project co-financing and the voluntary work is carried out under the responsibility of the relevant project partner, the value of that voluntary work shall be taken into account when calculating the indirect costs. (i) Excessive or reckless expenditure. Applicable national and European Union law on public procurement shall be complied with at any level in the implementation of the projects. The award of contracts (including the procedures prior to the award) and the terms and conditions of such contracts shall, in line with the principle of proportionality, comply with best economic practices, including accountability, allow a full and fair competition between potential providers and ensure the optimal use of resources from the Fund. The highest ethical standards, as well as the avoidance of any conflict of interests, shall be observed during the procurement and execution of contracts. Detailed rules on the award of procurement contracts shall be set out in the project contract. Any support under the Fund shall comply with the procedural and substantive state aid rules applicable at the time when the support is granted. Potential state aid implications will be examined at the time of full proposal review and may result in rejection or recommendations for changes to the full proposal. Payments of the grant shall be made in euro. Financial reports must be drawn in euro. Requirements on effective communication and dissemination of results in projects will be inserted in the project contracts to be concluded between the fund operator and the lead partners.  The obligation to arrange a launch activity/event as well as a closing activity/event for the projects. Costs related to information and communication activities should be included in the estimated budget of the concept note. This call follows a two-step evaluation procedure. In the first step, only concept notes shall be submitted for evaluation. Successful applicants from the first step will be invited to submit a full proposal. No later than 01.07.2018, applicants are invited to submit a project concept note briefly describing the project idea, project activities and outputs, the members of the project consortium and a tentative budget. Only applicants that pass the administrative and eligibility criteria will be evaluated against the selection criteria. Applicants that are found not to pass the administrative or eligibility criteria have a right to appeal at this stage. Appeals shall be submitted to the fund operator, within 10 calendar days of the notification. Only shortlisted applicants will be invited to continue to the second phase. The FMO may, in order to ensure a geographical spread, targeted use of the resources available and avoid duplication, exclude any concept note at this stage. The Donor States may refuse any application at any stage of the application process without further explanation and reserve the right to withdraw or reduce the budget of this call for proposal regardless of the quality or number of applications received, and adjust, revise or revoke the call for proposals based on the prerogative of Donor State priorities. The Donor States may, when awarding a grant, impose any conditions they deem necessary in the interests of the Fund. Such conditions may apply, inter alia, to the project activities, consortium members and financial parameters. The FMO offers no guarantees that a concept note that has fulfilled the criteria for stage 1 will be selected for the second phase of the call procedure. Shortlisted applicants will be invited to submit a full proposal before a final deadline. All required application modalities will be provided to the shortlisted applicants at this stage, including the administrative, eligibility, exclusion, as well as selection criteria – comprising budget assessment – for the awarding of project proposals. In this phase the FMO may organise events to support the further development of project concept notes in line with the objectives of the Fund. Limited funding may be made available to shortlisted applicants for the purpose of such project preparation. Information about such events will be published on the webpage of the Fund. Concept notes must be in line with the principles and priorities set out in Chapter 1. Applicants are invited to present concept notes on projects that are transnational and regional cross-border in nature and follow a results-based management approach. The project idea must be formulated concisely, clearly and accurately and be clearly linked to the priority areas of this call and include the expected outcome of the project. Vague concept notes will not be considered. The concept note must clearly describe the rationale behind the activities proposed, drawing on research, studies, observations and own experience within the field. The template for the concept note is annexed to this call. The elements outlined in the concept note may not be substantially modified by the applicant in the full proposal (step 2). The consortium members included in the concept note must also be included in the full proposal, however additional partners may be proposed. The project budget may not substantially vary from the initial estimate. Eligible consortia may submit a maximum of one concept note and consortium members may not participate in other project consortia under this call. However, expertise partners may participate in multiple projects. Concept notes must be drawn up in English. The budget estimate must be presented in EUR. The concept note shall be submitted electronically via the fund operator’s system (EGREG) by 01.07.2018 (12:00 noon Brussels time). No modification to the concept note is allowed once the deadline for submission has elapsed. Applicants may also seek information in one of the info hubs listed at the fund operator’s website. Applicants have no legal entitlement to the award of a grant. A beneficiary partner is an eligible entity established in any of the 15 Beneficiary States of the EEA and Norway Grants (Estonia, Latvia, Lithuania, Poland, Czech Republic, Slovakia, Hungary, Slovenia, Croatia, Romania, Bulgaria, Greece, Cyprus, Malta and Portugal) or in Albania, Belarus, Bosnia and Herzegovina, Former Yugoslav Republic of Macedonia, Moldova, Montenegro, Russia, Serbia, Turkey and Ukraine, that together with the lead partner, other beneficiary partners and any expertise partners form the transnational project consortium that will carry out a project. The 15 Beneficiary States of the EEA and Norway Grants are Bulgaria, Croatia, Cyprus, Czech Republic, Estonia, Greece, Hungary, Latvia, Lithuania, Malta, Poland, Portugal, Romania, Slovakia and Slovenia. The Donor States are Norway, Iceland and Liechtenstein. The eligible countries for this call for proposals are Bulgaria, Croatia, Cyprus, Czech Republic, Estonia, Greece, Hungary, Latvia, Lithuania, Malta, Poland, Portugal, Romania, Slovakia, Slovenia and Albania, Belarus, Bosnia and Herzegovina, Former Yugoslav Republic of Macedonia, Moldova, Montenegro, Russia, Serbia, Turkey and Ukraine. An eligible entity is an entity established as a legal person in one of the eligible countries that may apply for funding under this call. See Chapter 2 for an overview of eligible entities. An expertise partner is any entity established as a legal person in a Donor State, in a non-eligible EU Member State or an international organisation that may contribute with expertise relevant to a project under this call. The same expertise partners may participate in multiple projects within the Fund. The Financial Mechanism Committee (FMC) is the decision-making body for the EEA Grants. The committee consists of representatives of the Ministries of Foreign Affairs of Iceland, Liechtenstein and Norway. The FMC draws up policy and guidelines, approves each programme allocation and ensures monitoring, control, and evaluation of the Grants. The Norwegian Ministry of Foreign Affairs is the decision-making body for the Norway Grants. The Financial Mechanism Office (FMO) is the Brussels-based secretariat for the Grants. The FMO is affiliated to the European Free Trade Association, but reports to the Foreign Ministries of Iceland, Liechtenstein and Norway. The FMO also serves as a contact point for the Beneficiary States. The fund operator, the consortium Ecorys Polska/JCP, takes on the administrative and technical tasks related to implementation of the Fund. Its responsibilities, amongst others, are disseminating calls for proposals, project contracting, verification of payment claims, and implementing the audit and monitoring functions. The fund operator follows up implementation and maintains day-to-day contact with the project partners. The fund operator is responsible for the administrative and eligibility checks of projects for the FMO’s review and ranking. During the project implementation one partner entity, based in one of the 15 EEA and Norway Grants Beneficiary States, is to be named lead partner in the consortium. The lead partner has a specific role in the consortium, see Chapter 2. In exceptional cases FMC may allow a lead partner from a Donor State or from an international organisation.